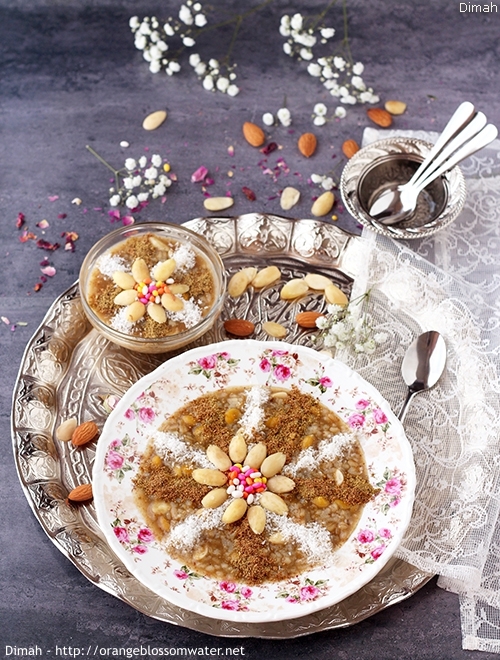 Hboub is a famous dessert in Syria made of wheat berries. There are two versions of Hboub, the one prepared in Hama and Damascus which differs than Hboub prepared in Aleppo. The recipe here is for Hboub of Hama and Damascus, made of peeled wheat berries cooked with rice, dried chickpeas, dried fava beans, dried white beans, almond halves, sugar, ground anise seeds, and ground fennel seeds. Then garnished with ground anise seeds, ground fennel seeds, desiccated coconut, almond flakes, slivered pistachios and sugar coated fennel seeds. Hboub is usually prepared in the celebration of Mawlid “Birth of the Prophet Mohammed”. Mnazzalet Al-Bathenjan is also know as “Mnazzaleh”, it is prepared from eggplants stuffed with meat, and cooked with tomatoes, then served with rice. This cake was easy to make and tasted fabulous. 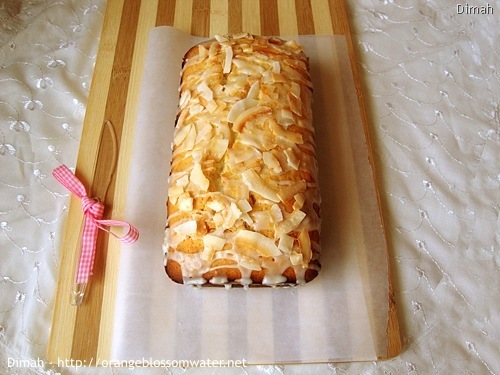 I love the lemony smell and taste, will definitely be making this again and again. 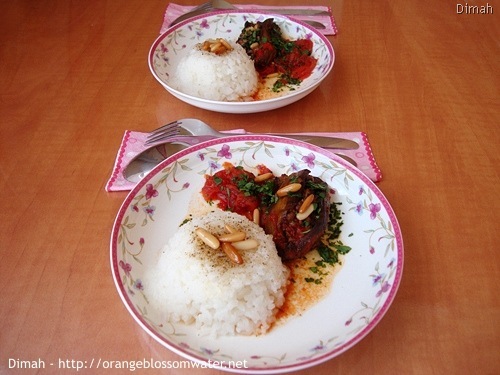 This is the third recipe for Aqras (read the first recipe here Aqras Helweh I and the second recipe here Aqras Helweh II). 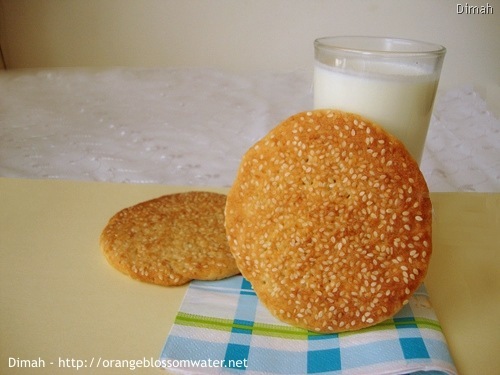 Today’s recipe is the salty version, the dough is prepared with salt and no sugar is added to the recipe, and Salty Aqras is made without sesame seeds. 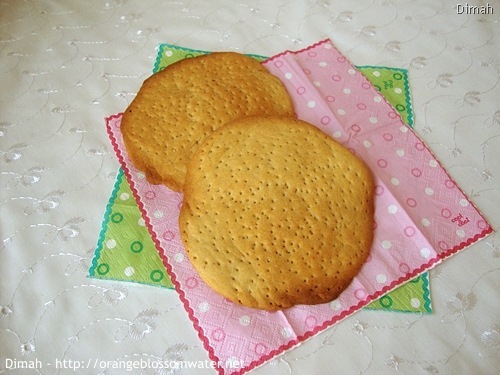 This is the second recipe for Sweet Aqras (read the first recipe here Aqras Helweh I). Today’s recipe is the modern version of sweet Aqras, and it has another name which is (Aqras Al-Barazeq), the changes here are the type of flour, the amount of yeast and the size.